Making chicken salad recipes are fun to do. They are easy to prepare and require only simple home cooking techniques. I enjoy making chicken salads since it's not very strict. When we have a basic components of a mayo-based salad, we can easily prepare our own chicken salad recipe. We can always add bacon, cheese and peas in making chicken salad; I don't consider them vital in making chicken salad a success. 1. Cook the pasta. I suggest you put a handful of salt in there so that pasta may acquire taste. When cooked, drain it. Do not rinse so the pasta may stick well with the other ingredients when we mix them together. 2. Cook the chicken with the water used from cooking the pasta. It is optional. 3. Shred the chicken and set aside. 4. In a deep mixing bowl, mix all the ingredients together - pasta, chicken, diced carrots and onions, pineapple bits, chopped celery, raisins and pickles. 5. Add in the condensed milk. 6. Add in the mayo. 7. Add dash of salt and pepper to taste. 8. Put chicken salad in a container with lid. 9. Put it the fridge to cool before serving. Making chicken salad with bacon bits, ham and cheeses provides more flavors to your dish. These are optional ingredients which you may adapt. The fun would be in making chicken salad your own! Here's a quick recipe for a fresh garden salad. Enjoy! Thanks for sharing the recipe! Sometimes we use ham pag di available ang chicken. Hi anney! Thanks for your comment. I'll add ham to this recipe the next time I make it! Yay! Hi! Thanks for following my blog! Gusto ko din mag follow kaya lang di nag wo work ang follow button mo. I just added your blog to my list so I can visit you here from time to time. See u around! Thanks anney. I'll check bakit you can't follow. I'm still starting to understand blogging tlga eh..hahaha!! We also make that at home. I love chicken salad! thanks for sharing this! 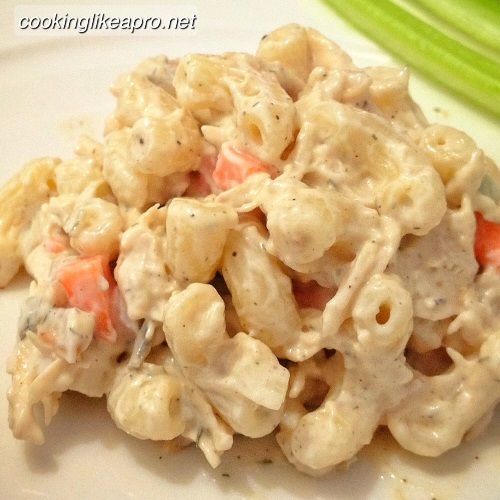 Thank you for sharing chicken salad recipe.Step is so easy or clearly describe to make it.